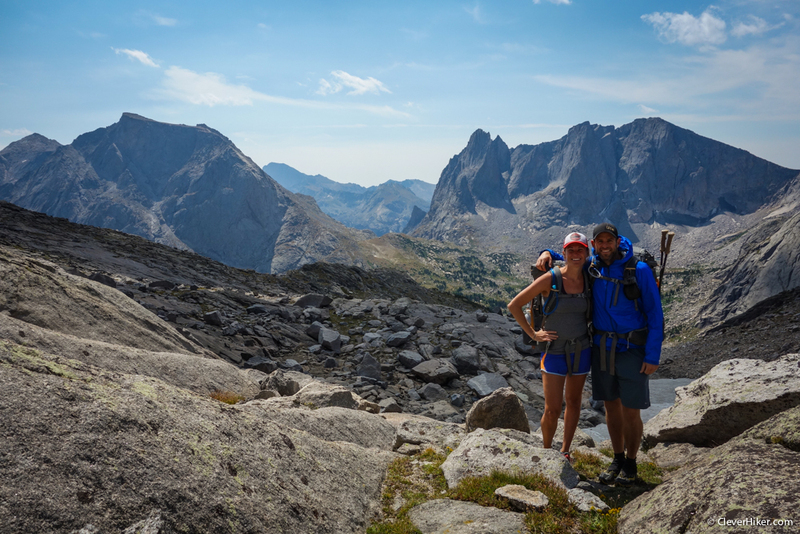 The Wind River Range in Wyoming is a place you truly have to see to believe. It’s an outdoor adventurer's dream come true. Where immense glacier-carved granite spires tower over crystal-clear lakes, rolling meadows, and fields choked with high-alpine wildflowers. It’s one of the most stunningly beautiful places I’ve ever seen and I can’t wait to get back to explore more. 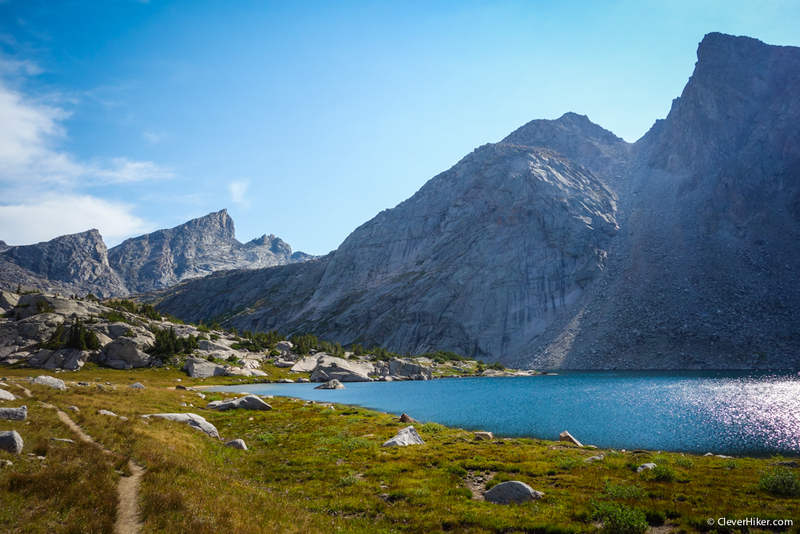 If you haven’t been to Wyoming’s Wind River Range, start planning a trip there now. This past summer my wife Annie and I had a few days to explore the Winds while driving across the country. We knew that three days would hardly be enough time to explore this gorgeous 110-mile section of the Continental Divide, but that’s all the time we had. 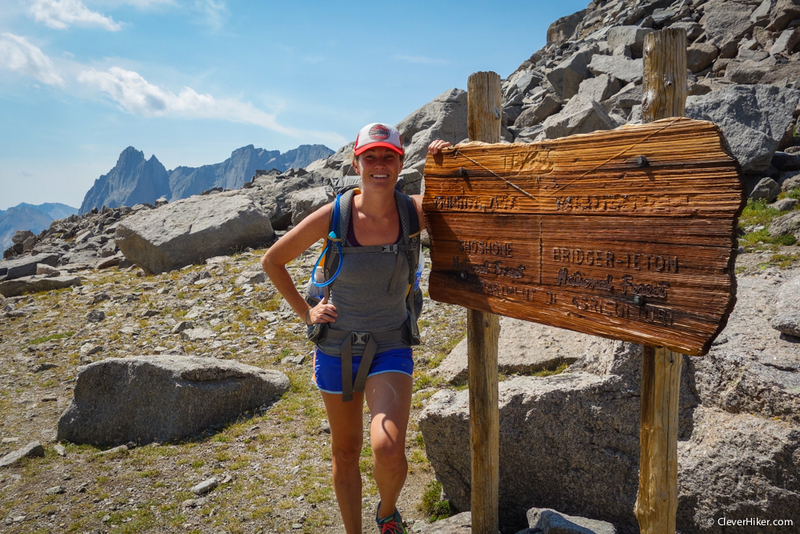 So we set out to plan a three-day adventure that would allow us to see one of the most iconic and easily accessible sections of the Wind River Range, the Cirque of the Towers. I created this backpacking guide to share some things we learned along the way. Hopefully this post will help anyone looking to plan for a similar adventure. As always, if you have any questions or comments, please leave me a message below. Enjoy! This loop starts and ends at the Big Sandy Trailhead. A very small portion of this loop requires backtracking, so you’re on new trail for the majority of your trip, which is ideal. The total distance of the loop is about 23-24 miles, making it a great 2-4 day trip depending on your hiking style and fitness. Part of this loop (the section over Texas Pass) is technically “off trail,” so the exact distance of the loop is tough to pin down. The “off-trail” section is not marked on the map, but there is a trail and rock cairns to follow. The route along the off-trail section is not always as easy to follow as official trail, but it is still well defined. That said, I’d definitely carry a good map and compass and know how to use them. Gradually gain 1,200ft of elevation through gentle and picturesque terrain. Pass by Mirror Lake, Dad’s Lake, and Marm’s Lake before making the turn-off to Shadow Lake. There are ample opportunities for camping and side trips along this less traveled side of the loop. After Shadow Lake the official trail ends and you’ll travel “off trail.” There is still a trail to follow, but keep your wits about you. Travel along the North side of Shadow lake and make a short climb to a Billy’s Lake (unnamed on the map). Travel along the northwest side of this lake and continue up the valley. Continue your gradual climb to Barren Lake (also unnamed). Pass along the southern edge of this lake to find the fourth lake in this series, Texas Lake (unnamed as well). From Texas Lake (10,7500ft) you’ll have a short but steep climb south to the top of Texas Pass (11,500ft). From the top of Texas Pass you’ll get your first view of the Cirque of the Towers. Pingora Peak, a popular climb, is the large spire set in front of the Cirque. Descend along the loosely marked trail towards the western shore of Lonesome Lake. There is no camping allowed within ¼ mile of Lonesome Lake. The main camping area for the Cirque is located a short climb above Lonesome Lake to the southwest. There are lots of little loose unmarked trails throughout this picturesque area where campsites (and campers) are common. For a short sidetrip, head east along the official trail to Lizard Head Meadows (about 2 miles). The official trail can be found to the east of Lonesome Lake and makes a moderate ascent to Jackass Pass. If you camp in the area above Lonesome Lake to the southwest, there is an alternate route that goes to a lower unmarked pass to the southwest of Jackass Pass. This is the most common route for those camping in the Cirque. 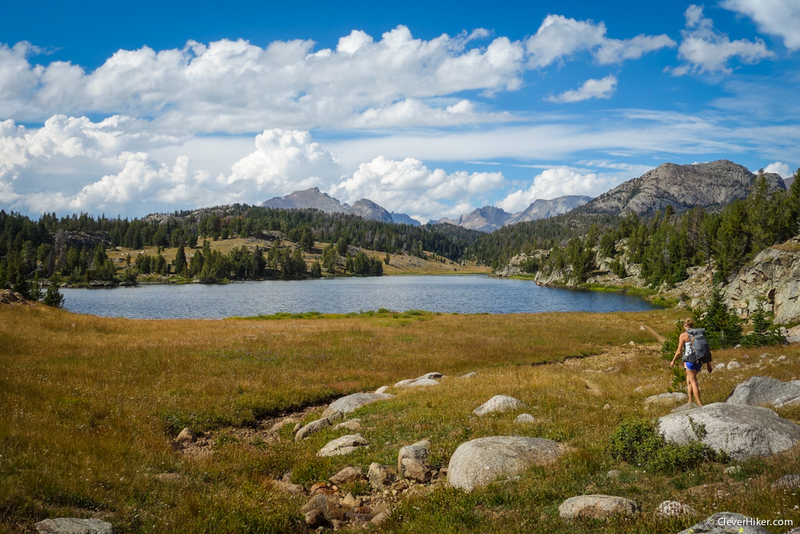 After crossing the unmarked pass, the trail boulder hops along the west side of Arrowhead Lake (the official trail is on the east side) and meets up with the official trail south of Arrowhead Lake. From Jackass Pass (or the lower unmarked pass to the southwest) the well-marked trail descends and eventually hits a series of switchbacks that lead to down to Big Sandy Lake. 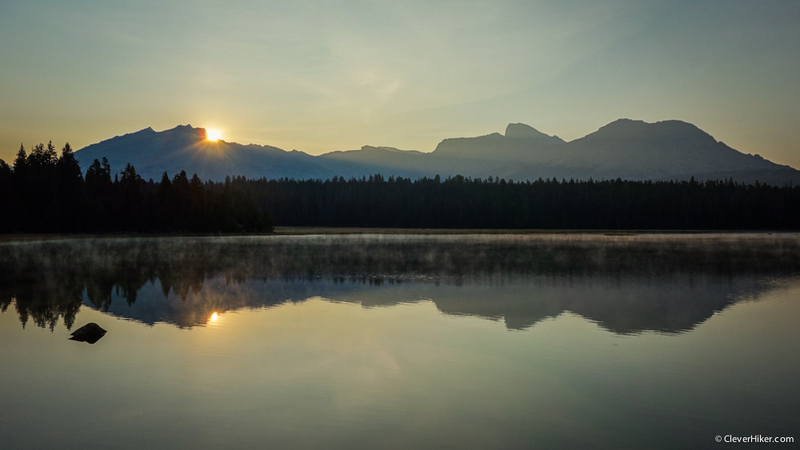 Big Sandy is a picturesque and easily accessible lake, making it a popular choice for camping. It is a good spot for setting up a basecamp for day trips in the surrounding area, but it is far from secluded. The walk from Big Sandy Lake is well-traveled and gentle. 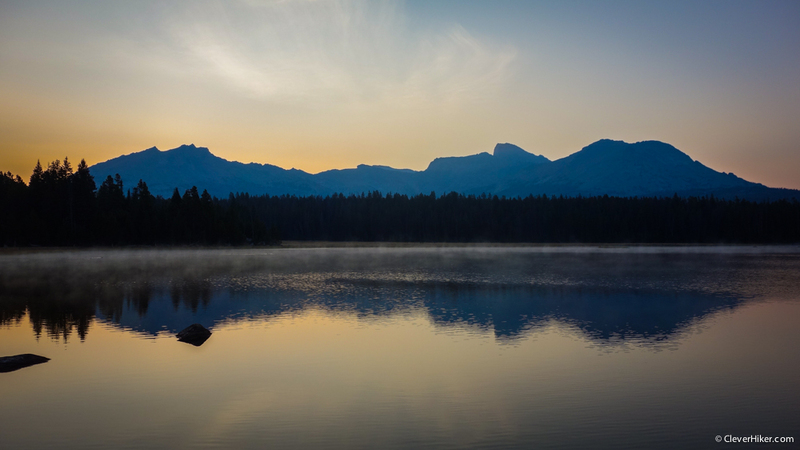 For a less traveled and more picturesque route, take the trail that goes to Diamond Lake and V Lake. This route will add a .4 miles and no elevation gain to your trek. There are a couple of decent camping opportunities along that route as well. In general July-September is the best time to travel to this area. Snowpack is a key factor for trip planning in the Winds. Some years a heavy winter snowpack and early season storms will keep trails covered in snow well into July. On warmer years with lighter snowpack, June backcountry trips are possible. The same is true for autumn hiking, some years early snowstorms make this area inaccessible and other years it’s stable into October. July and August are usually great for wildflowers. That’s also the time when mosquitoes and biting flies will be the worst though. So use a combination of permethrin on your clothing and a small amount of 30% DEET on exposed skin for full protection. Mid-August to mid-September can be a good time to visit this area as well because crowds will be minimal and bugs will be gone. Thunderstorms and afternoon showers can be common during the summer months in the Winds. There is a year-round possibility of snow here, so pay close attention to the weather and be prepared for any change in conditions. Difficulty depends on your experience, physical fitness, pack weight, & weather conditions. This is not a technically demanding hike, but there are a few good climbs and some basic off-trail navigation along the way. I would categorize this loop as moderately difficult. Some sections are quite easy, and some sections are a little tricky and physically demanding. As always, the heavier your backpack is, the harder your hike will be. So do yourself a favor and pack light. For lightweight hiking tips and gear recommendations, check out my Lightweight Basics Video Series and Gear Guide. 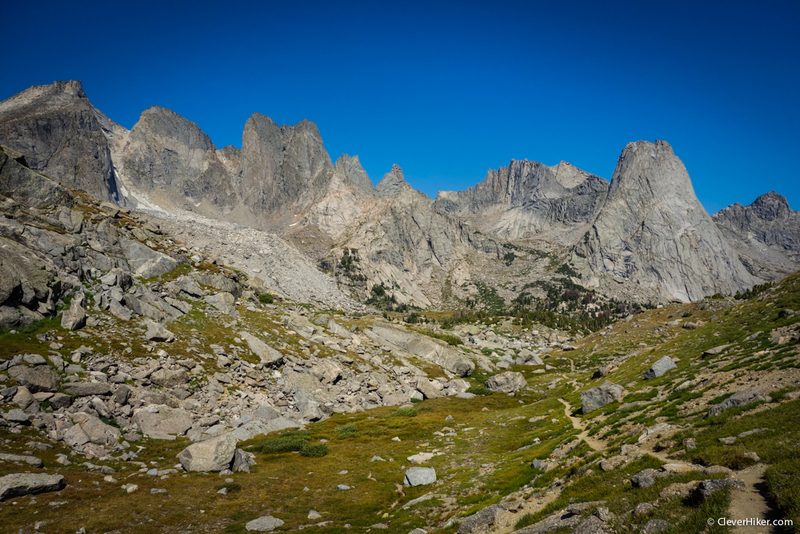 The Cirque of the Towers is one of the most popular destinations in the Wind River Range, so you won’t be alone along this route. The Cirque is a popular climbing area. Lots of climbers set up base camps in the Cirque and climb during the day. While the traffic in the Cirque can be heavy at times (summer weekends in particular) the terrain in the cirque is good for concealing tents and tucked away camp spots. So you won’t feel like you’re camping on top of other hikers. The first section of this loop (Big Sandy to Shadow Lake) sees a lot less traffic. We saw a few groups while hiking along that side of the range, but not nearly as many as we did from the Cirque to Big Sandy Trailhead. We didn’t find the traffic along the trail to be overwhelming and the scenery is well worth it. If you’re looking to be alone, this hike is probably not for you. For our next trip to the Winds we’ll seek out a section with a bit more solitude, but this hike wasn’t nearly as bad as I had expected. 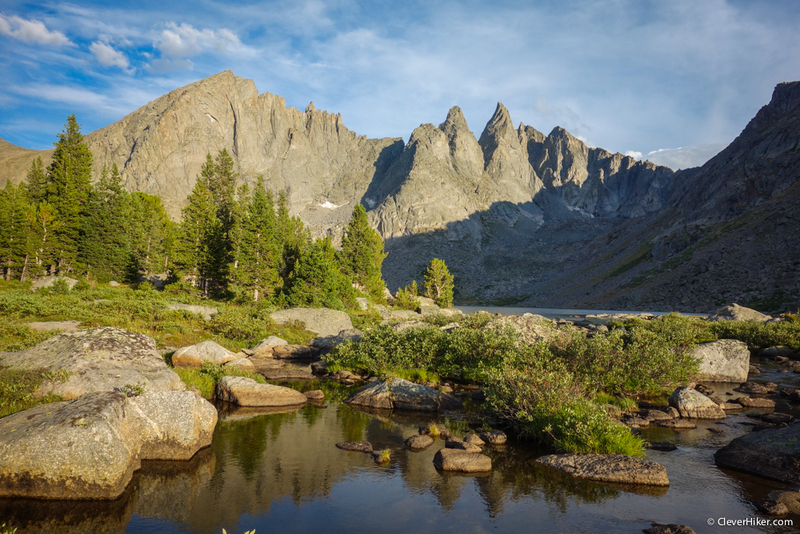 The Wind River Range runs along the Continental Divide and boasts some high elevations. The highest point on this loop is Texas Pass at 11,500 feet above sea level. Even the low point along this trip (Big Sandy Trailhead) is at 9,100 feet, so you’ll be at high elevation for the duration of the trip. Know the symptoms of altitude sickness and know what to do if you encounter it. It’s never a good idea to travel from a low elevation to a high elevation like this without at least a day or two to acclimate. Check out my high elevation hiking and lightning storms guide for more info. Hiking Wyoming's Wind River Range - This is an excellent book with pictures, highlights, and detailed descriptions of hiking trails throughout the Winds. It’s not specifically designed for backpacking trips, but it does reference good multi-day trips and tells you how to string together hiking trails for longer trips. This is a very useful book that I highly recommend for this trip and others. Wind River South Range Map - We chose this map over the Southern Wind River Range Hiking Map because it was made more recently, is more durable, has shaded topo relief, and is easier to read. It’s an excellent map that I highly recommend. Water is plentiful along this trail and is easily accessible from lakes and streams. Carry plenty of water to get from one source to the next and a lightweight water purifier. My favorite is the Sawyer Squeeze and I highly recommend that you pick one up. There are bears in the Wind River Range, both grizzly bears and black bears. So protection and food storage are critical. Because this loop is in such a popular area, it’s highly unlikely that you will encounter any bears along your trip. Still, take the correct precautions just in case. We carried bear spray when hiking in the Winds because there are grizzly bears in the area. We knew it was highly unlikely that we would see any, but if we did, we wanted to be prepared to protect ourselves. I consider bear spray an essential item when hiking in grizzly country. It could easily save your life in the rare event of an attack. Food storage is another important consideration. Make sure you know how to hang a bear bag properly or carry a food storage container. Bear canisters and Ursacks are the most effective storage methods and the easiest to use. There are no food storage requirements for this area, but you should always store your food properly. That will protect against bears and keep small critters from chewing through your spendy backpacking gear. The Big Sandy Trailhead is where this loop hike starts and ends. This is a popular trailhead because it’s the best access point for the Cirque of the Towers and Pyramid lake. Getting to this trailhead will require 27 miles of dirt road driving. The last 10 miles of dirt road are pretty rough with lots of potholes. We were able to get to this trailhead in a sedan, but it was slow going for the last 10 miles of rough road. Make sure to take screenshots or write down the directions to the Big Sandy Trailhead. There are signs to the trailhead/campsite, but it can still be confusing and you won’t have any phone signal once you get out there. TENT: We used the Zpacks Duplex tent on this trip. We love its combination of incredibly low weight and livability and that's why it's one of our top picks on our best lightweight backpacking tents list. BACKPACK: We used Gossamer Gear Gorilla backpacks on this trek. They're lightweight, convenient, comfortable, and make our list of the best lightweight backpacking packs. SLEEPING BAG: We used the Western Mountaineering UltraLite and Feathered Friends Swallow Nano 20 on this backpacking trip. They are both lightweight, incredibly warm, and make our list of the best backpacking sleeping bags. COOKING SYSTEM: We used the BRS Stove, Snow Peak Mini Solo Cookset, and Snow Peak Folding Spoon on this trek, all of which make our top picks gear list and best lightweight stove list. SHOES OR BOOTS: We wore Saucony Peregrine 7 trail runners (men's and women's) on this trail and they were excellent. If you prefer boots, make sure they’re lightweight and break them in really well before your trip. Here’s why we prefer hiking in trail running shoes: 5 Reasons to Ditch Your Hiking Boots. 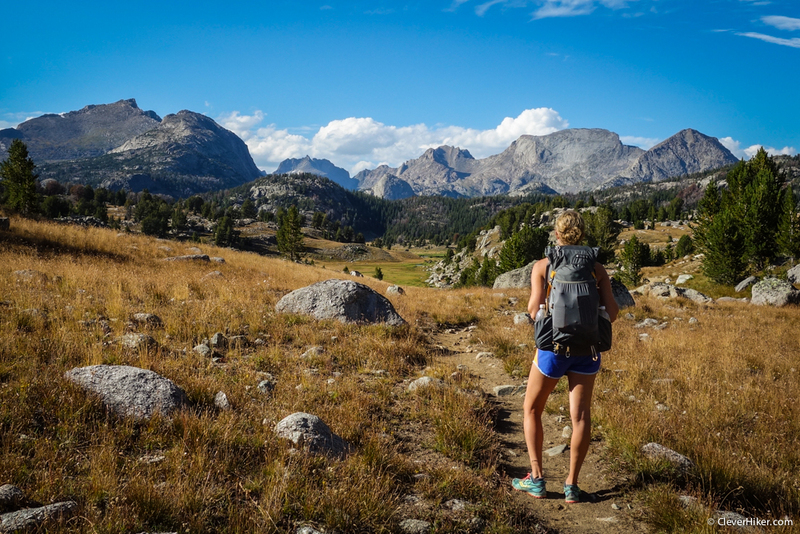 FOOD: When backpacking in the Wind River Range you'll have to carry all your food. For some suggestions on common backpacking food options, check out our backpacking food video. FOOD STORAGE: For this trip, we brought an Ursack for food storage. Make sure you know how to hang a bear bag properly or carry a food storage container. Bear canisters and Ursacks are the most effective storage methods and the easiest to use. BEAR SPRAY: The Wind River Range is home to a healthy grizzly and black bear population. You should always hike with bear spray and know how to use it properly. 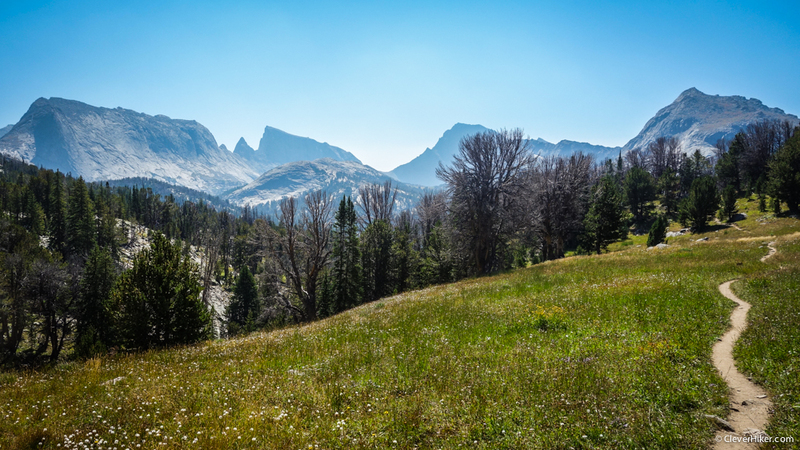 MAP & COMPASS: You hiked with the Wind River South Range Map. In addition, we always hike with a compass. FIRST AID KIT: Always bring a small personalized first aid kit. We used the .5 Ultralight Kit and added extras, like painkillers and personal medications. Hopefully this guide helps you plan a trip out to the Winds. If you do, you certainly won't be disappointed. As always, please leave a comment below if you have any questions or thoughts. Thanks!